It's critical to get management on board for any employee survey. If not, the risk is that nothing will be done with the results and employees will feel cheated; after all if they they were asked for their opinions and nothing changes, then what was the point? That feeling of being ignored is worse than not doing a survey in the first place. There's a tremendous amount of data on how organizations with high levels of employee engagement and satisfaction outperform their competitors financially, so there is a huge incentive for senior management to consider assessing the level of engagement in their own employees. Can’t convince your senior management to do a survey? Maybe they don’t realize that your employees’ ideas can result in cost savings and can improve your bottom line. We know that research shows disengaged workers cost U.S. organizations upwards of $450 billion but increasing employee engagement is a proven solution, as described in a recent Fast Company article. Once Senior Management is "on-board" they need to follow through and take ownership of the process and announce the survey to all employees by all means available, well before the survey is to take place. It's vital to make employees feel that they are part of the process and that by listening to them the organization is committed to making improvements. Do this right and you can easily reach 90% participation. •	Featuring a brief article about the survey in the corporate newsletter and/or blog, which should not only include not only the timeline for data collection but also for sharing results and action planning outcomes.. There is both an art and a science to writing good questionnaires and this requires a solid understanding of research techniques and best practices. In addition to protecting employee anonymity, this is another reason why we strongly recommend against using a DIY approach with employee surveys. If the survey itself is poorly designed and badly written, with ambiguous, confusing or contradictory questions, then the survey results themselves may be useless. There are several "free" or low cost survey tools available that you can use to collect employee data internally. However, protecting employee anonymity - both in reality and in the eyes of your employees - is absolutely essential if you want to achieve the highest possible participation and if you're determined to get honest and reliable answers. If you (i.e. Human Resources) are collecting the data yourself, especially if you're inviting people to participate via their corporate email addresses, how can you guarantee their anonymity? 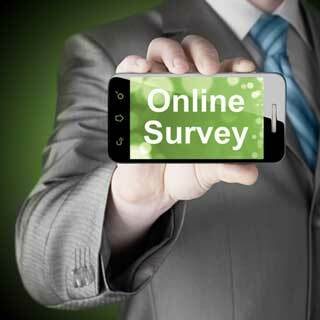 Make sure your survey vendor has valid, "representative" survey norms. Don't allow your organization to be compared to one or two other "similar" companies who happen to be in their client database. That kind of data is NOT representative of an entire industry. It is misleading at best and useless at worst. Insist on valid comparative data. Find out more about employee survey benchmarking here. In conclusion, the validity of your employee survey results is dependent on two key factors – the quality of the survey design and your success in getting the highest possible level of employee participation. A well-designed survey asks the right questions, which ensures you are getting feedback that addresses real workplace issues and can serve as the foundation for effective action planning. Asking everyone to participate in the survey means you will hear from everyone, not just the squeaky wheels and that means you will get the whole picture and a clear understanding of what is happening in your organization.